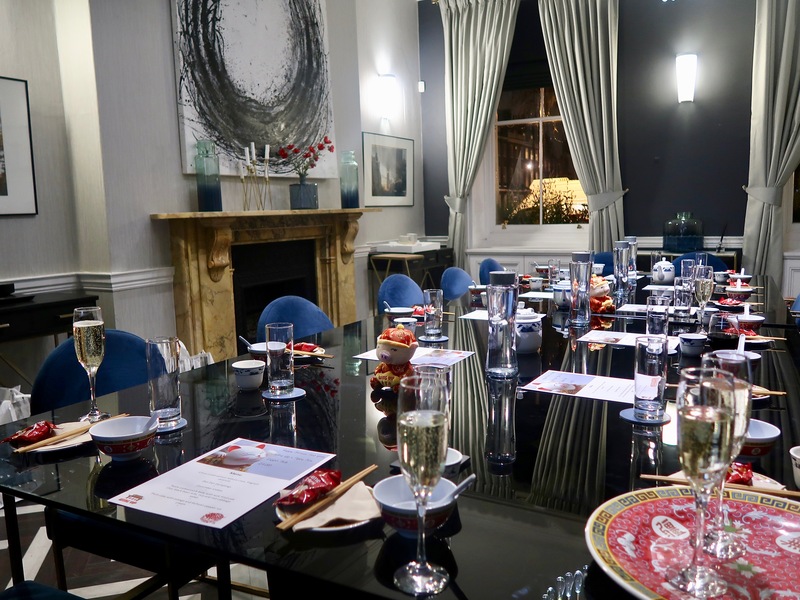 I was delighted to be invited to the rather posh Collective HQ in Fitzrovia to celebrate the Year of the Pig with the lovely people from the UK’s leading Oriental grocer – Wing Yip. The business now has four sites – Birmingham, Manchester, Croydon and Cricklewood with the business having been founded by Mr Wing Yip and his brothers over 40 years ago. Chinese New Year is being celebrated internationally on 5th February 2019. This year is the Year of the Pig, the 12th animal in the Chinese zodiac. The pig symbolises fortune and bravery and apparently if you are born in this year you will be compassionate, calm and generous. I’m none of those things because I’m an ox! Chinese New Year is famous for its flamboyant festivities with Chinese music, lion dancing, acrobatics and great nosh. Wing Yip has over 4,500 Oriental products to ensure the UK celebrates appropriately. 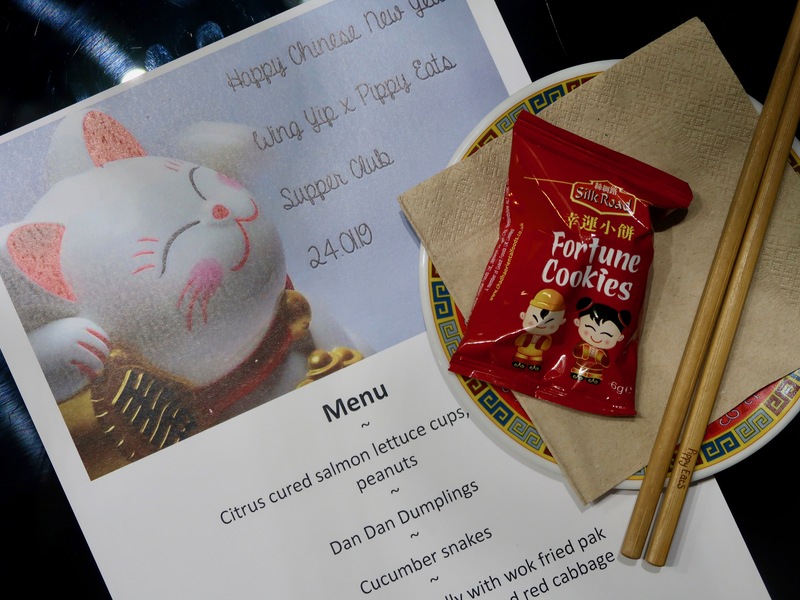 Dinner was being cooked by Mancunian chef Pippa Middlehurst – Pippy Eats- Asian influenced winner of BBC’s Best Home Cook who was creating a ‘Chinese banquet supper club’. 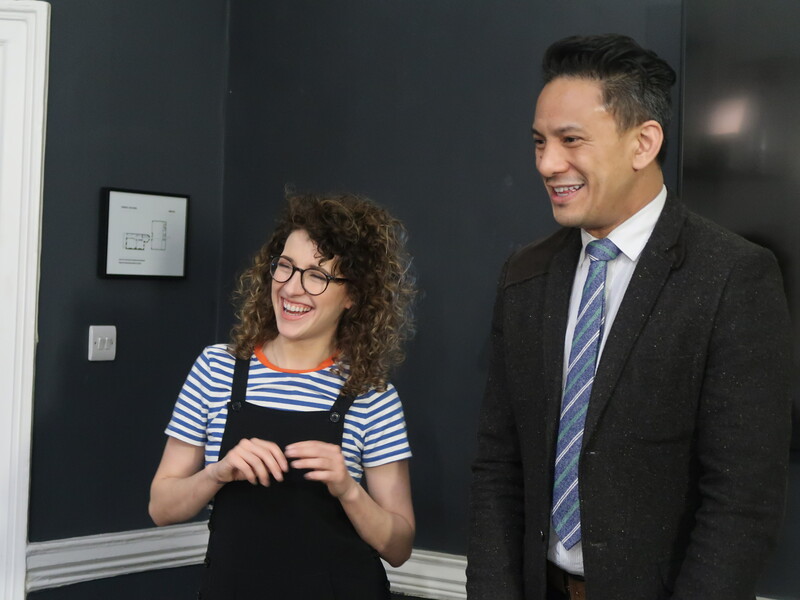 For Wing Yip Pippa is very much the kind of new customer they are attracting; retail, not trade, looking for Pan Asian, not just Chinese ingredients and wanting to be creative with tradition. After a welcoming glass of Prosecco and an introductory welcome speech, it was time for the food. 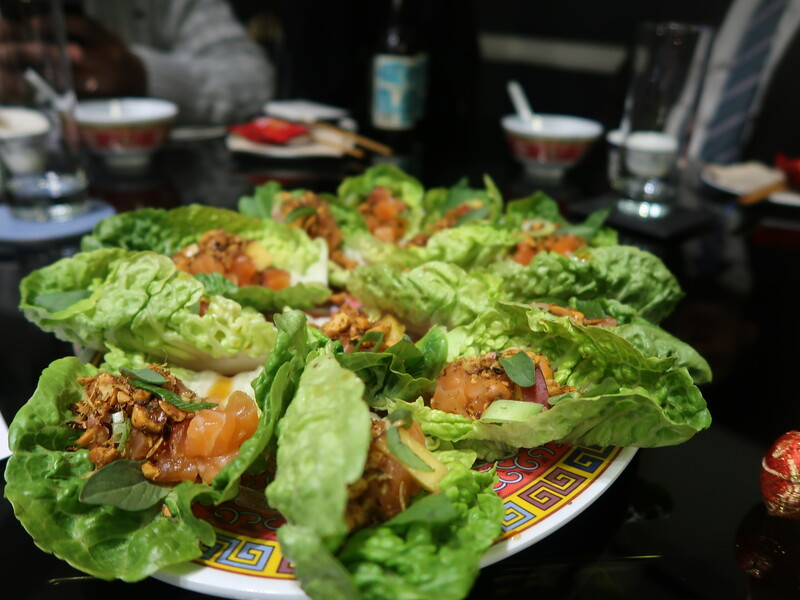 We started with citrus cured salmon lettuce cups with fragrant peanuts. The freshness of the lettuce and salmon contrasted with the perfumed crunch of the peanuts – great to get our taste buds going. 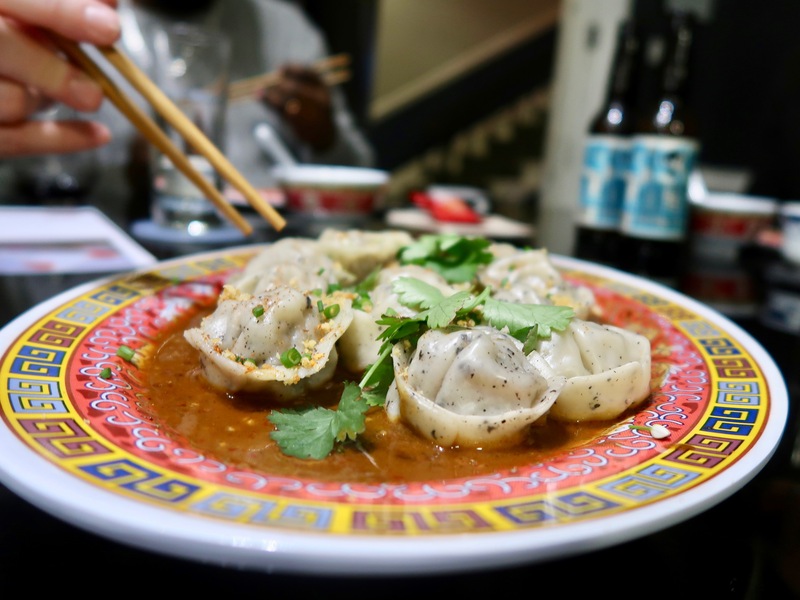 Next up were Dan Dan pork dumplings – we loved the spicy pork filling held in a delicate wrapper with a hint of fragrance from the coriander. 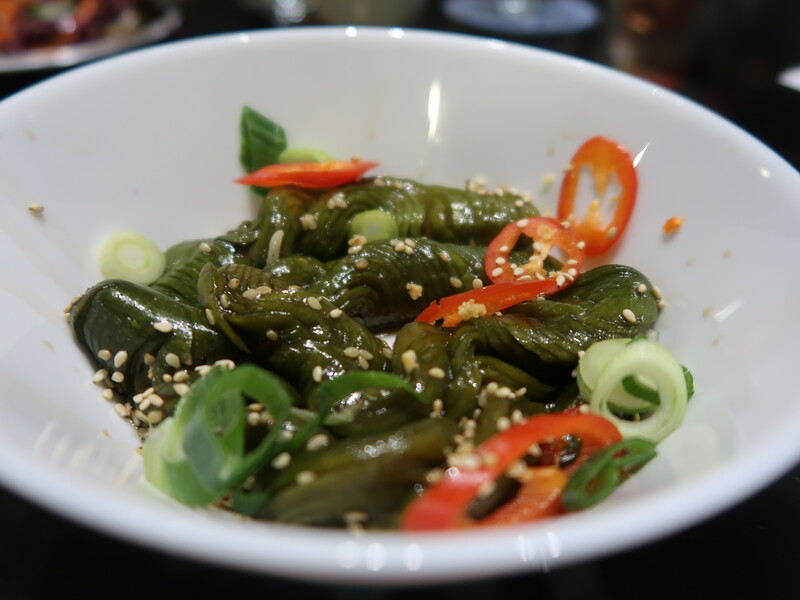 Delicious pickled cucumber snakes combined crunch with a real zing in the mouth. Twice cooked pork belly was really tender and caramelised with the chilli adding some welcome extra heat. 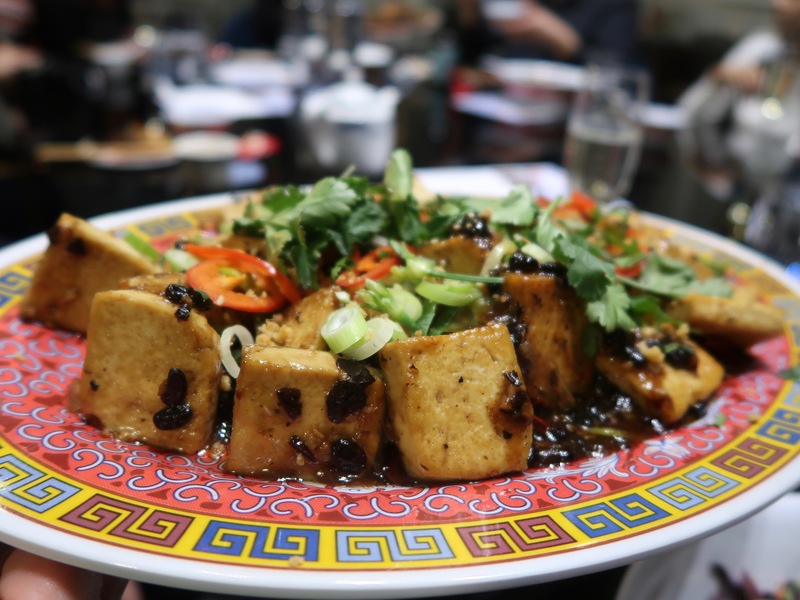 My favourite dish was a plate of black bean tofu adding a blast of umami to the moist soy curd. 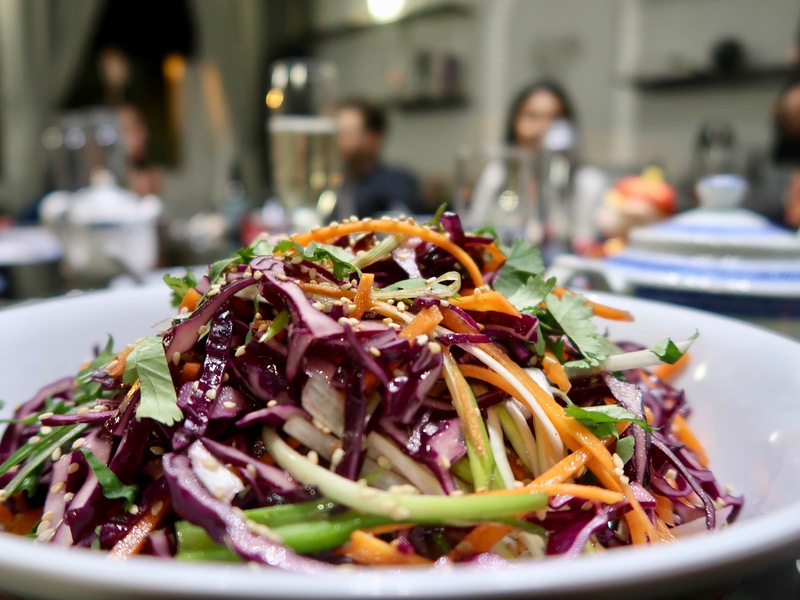 A crisp red cabbage salad topped with sesame seeds added freshness and crunch to the meal. 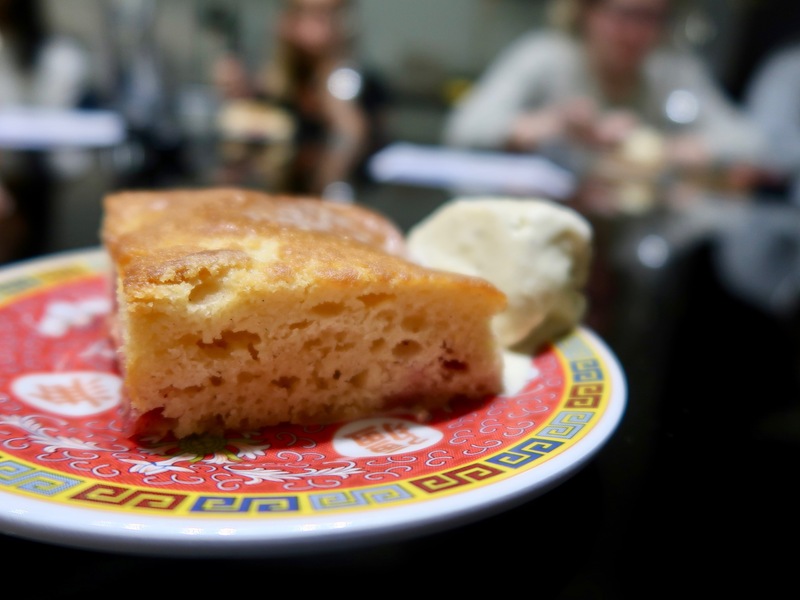 The moist plum cake came with a wonderfully perfumed orange and Sichuan pepper ice cream – the perfect end to a great meal! If you haven’t been to a Wing Yip then you should – it’s really fun to see products that never normally make it onto supermarket shelves. Head to any local Wing Yip store, or shop online at www.wingyipstore.co.uk, to find all the ingredients required to create the perfect celebratory Chinese New Year banquet for friends and family. Using a piece of foil large enough to create a parcel, place the salmon into the middle of the foil, scatter 1/4 of the shallots around the salmon and spoon 1 tbsp of the Ginger and Spring Onion Sauce on top. Wrap up the parcel and repeat for the other 3 pieces of salmon. Place in a pre-heated oven at 180c for 10 minutes depending on the size of your fish. Check after 10 minutes, and if the fish is cooked all the way through, serve immediately. 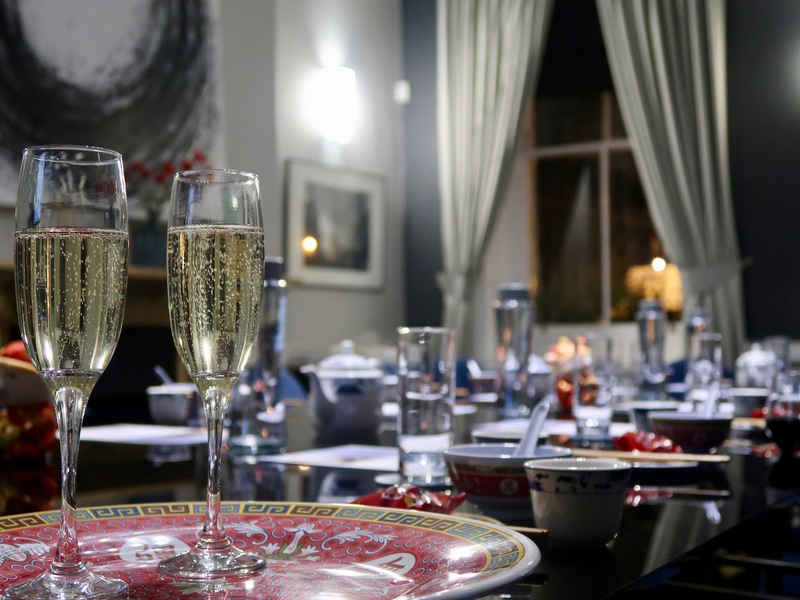 Here are a few ideas if you don’t fancy making your own Chinese New Year feast . 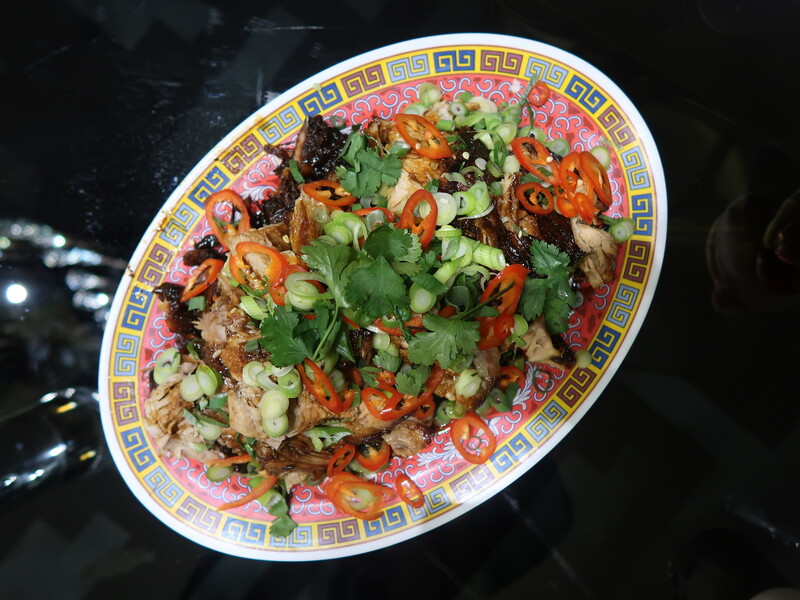 We love Duck and Rice in Soho – a kind of Chinese Gastropub. Or, you might like one of the Royal China Group restaurants. Lucy has been to Royal China Queensway to check it out. Yum – it all sounds delicious, and Wing Yip (Croydon) is just down the road from me! I’ll have to get my skates on.